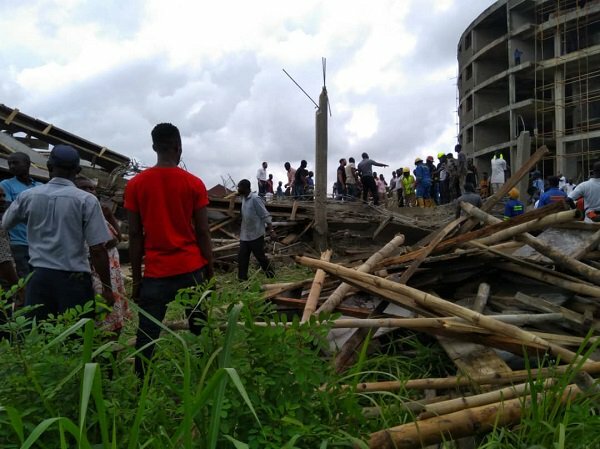 Breaking: Four-storey building collapses in Abuja – Royal Times of Nigeria. A four storey building under construction collapsed today in Jabi area of Abuja. According to reports gotten from the scene, The National Emergency Management Agency, Fire service, Nigeria security and civil defense corps have arrived and they have been able to evacuate 25 people from the building. The building is said to have been abandoned for over two years. However, six people have been rescued from the building while one corpse has also been evacuated. The heavy rain has also hampered rescue operations.